The Campbell Hausfeld 1/4-inch hose end (MP320600AV) creates or repairs air hoses. Just insert the barbed end into a 1/4-inch ID air hose and then crimp with a ferrule or secure with a hose clamp for a finished air hose with a 1/4-inch male NPT end. 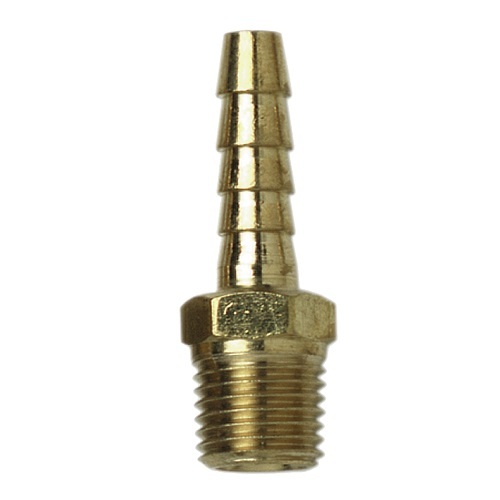 Corrosion-resistant brass construction for long life.